When I talk about food, I inevitably start talking about colors. I often praise the orange foods, professing my love of sweet potatoes, carrots, butternut squash and satsuma mandarins. Red is another treasured color, represented by strawberries, raspberries, tomatoes and bell peppers. But at the end of the day, I find that the best food color is green. Green boasts the cruciferous wonders of broccoli and brussels sprouts, the emerald beauties of green grapes and kiwi, the mighty avocado and, of course, the myriad of leafy vegetables commonly referred to as greens—spinach, collards and kale, to name a few. String beans, snap peas, zucchini, cucumbers, asparagus and celery are other lucky members of the green food family. To this list I add my favorite Asian vegetables: bok choy and gai lan (Chinese broccoli). In the fruit department, we have Anjou pears, honeydew melon, Granny Smith apples, limes. The diverse array of green foods allows for a wide variety of recipes that feature green ingredients. I find great visual satisfaction in creating dishes that center on a singular color, and green food is perfect for such masterpieces. Furthermore, the verdant versatility of the following recipes reveals the ability of green foods to satisfy at any meal of the day. Be it a nutrient-packed breakfast smoothie, delicate lunch salad, nourishing dinner stir-fry or an ethereal matcha dessert, green foods deliver flavorful and fun fare for all occasions! Green smoothies increasingly grace the shelves of health food aisles and corner cafes, but they are equally easy to create at home! 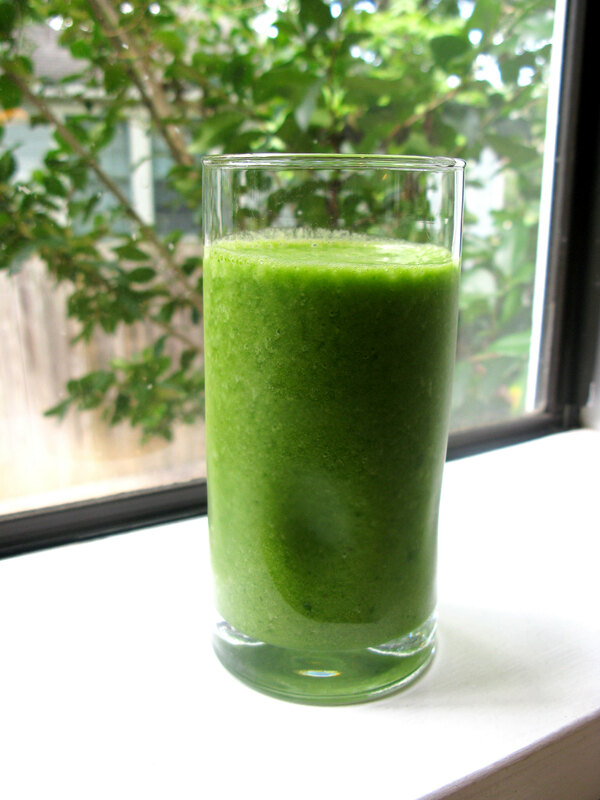 This recipe uses a broad flavor spectrum of green foods: tart apples, sweet kiwis, bitter lime, refreshing mint and spinach to lend additional vitamins. Blend everything together! Taste and adjust flavoring. Stir-fries are one of the best ways to include lots of different vegetables, and this spring mix includes greens, asparagus, two types of peas and edamame for protein. Flavorful (and green!) scallions add a bit of kick to help meld the flavors into a delicious light dinner dish. In a 12-inch skillet, heat oil over medium heat. Add the scallions and garlic, season with 1/2 tsp. kosher salt and 1/2 tsp. pepper. Cook, stirring, until softened, about 2 minutes. Add the sugar snap peas and asparagus. Cook, stirring occasionally, for 3-5 minutes. Add peas and edamame, and cook for 3-5 minutes more. Add chard and spinach, and stir until greens are wilted. Transfer to a large platter and sprinkle with flaky sea salt, adjust to taste. I love green foods because they come in so many different shades, from the deep forest of collards to the pale jade of kiwi flesh. This salad features the lighter end of the green spectrum, with butter lettuces, cucumbers, avocado and pistachios. In a small bowl, whisk the oil, lemon juice, honey, 1/4 tsp. salt and a pinch of pepper. Cut or tear the lettuce into bite-size pieces, and add to a large bowl, along with the cucumbers. Toss with just enough dressing to coat lightly. Add avocado and pistachios, toss lightly. Season to taste with salt and pepper, and serve with any remaining dressing on the side. Compared to its dominance in vegetable dishes, the color green makes considerably fewer appearances in the pages of dessert cookbooks. 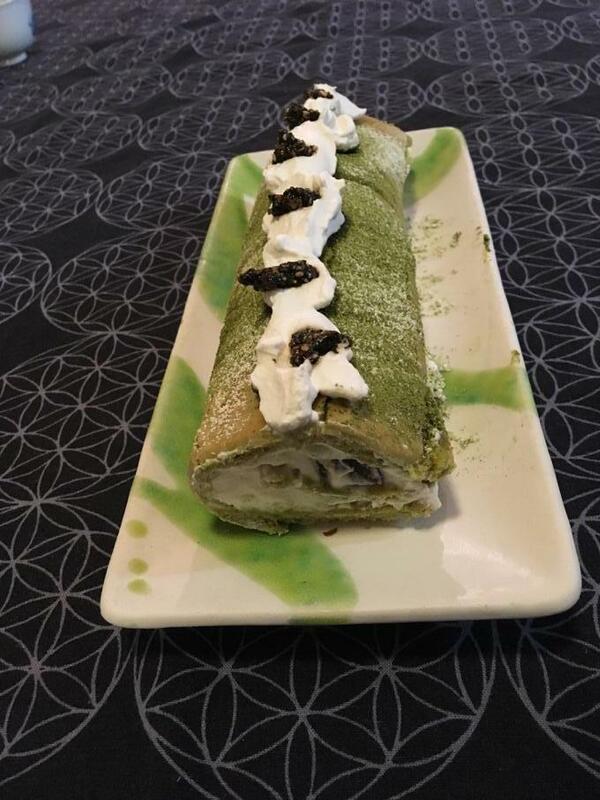 However, with the rise of matcha in bakeries and cafes across the country, green finally has a chance to shine in sweet treats such as this fluffy roulade. Preheat oven to 230 Celsius or 440 Fahrenheit. Grease a 10″ x 12″ rectangle pan and line with parchment paper. Fold in the flour mixture and melted butter. Pour the batter into the prepared pan, and bake for 10 minutes. Remove from the oven, and let it cool for 10 minutes. Remove the cake on the piece of parchment paper. Spread a clean dish towel over the cake and gently roll it. Let sit for 10 min to hold the shape. Unroll the cake and spread an even layer of cream onto the cake. Roll up the cake from the long end. Once it is firmly rolled up, cover and refrigerate it for at least an hour before serving.